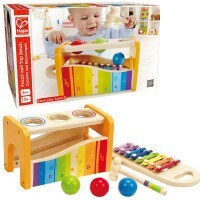 Pound the rattle balls into the colorful base, and watch as they slide through the hinged doors! Pound away and enjoy a day of play! 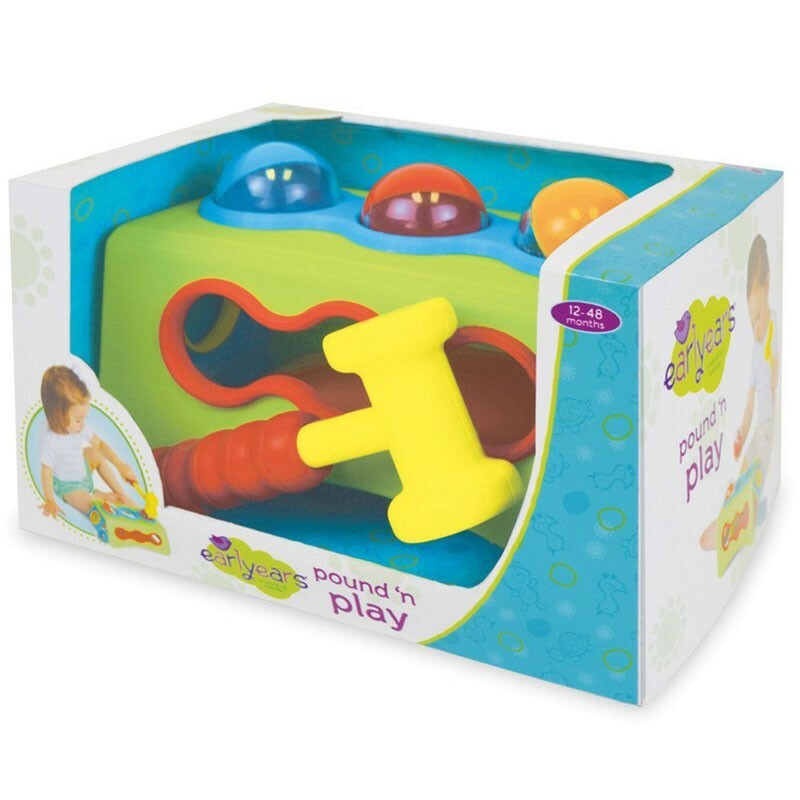 Pound n Play Toddler Activity Toy by Earlyears is a new engaging activity playset perfect for any young child or toddler. Featuring an easy grip soft hammer, a durable plastic base with openings, and 3 rattle balls, the toy is safe for even the youngest children. Simply pound each ball into the base, and watch through the side windows as they slide through the inside ramp and 2 hinged doors. 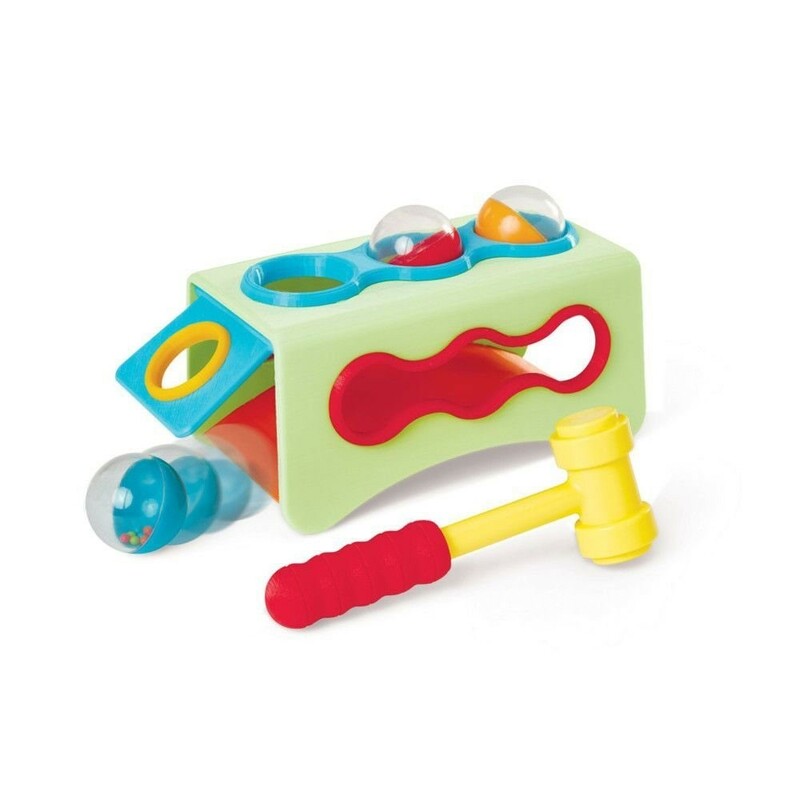 The new hammer and ball set from Educational Toys Planet enhances motor skills, dexterity, stimulates your children's minds, and introduces them to cause-and-effect principles. 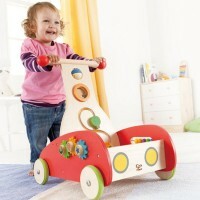 Expertly designed, the baby activity toy is sure to light up your children's eyes every time they play! 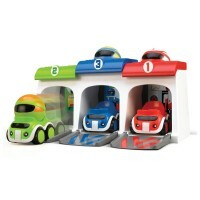 Dimensions of package 5.5" x 6.4" x 9.5"
Write your own review of Pound n Play Toddler Activity Toy. 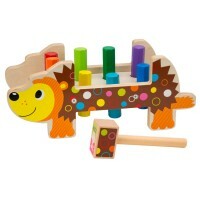 Rating: 5 by Sherry, IL It is sturdy and fun for babies. Rating: 5 by Ann, MA This is a phenomenal cause-and-effect learning experience. 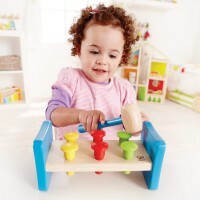 A 12-month-old that can't use a hammer can enjoy pushing the balls through the holes with her hand. the balls are colored to match the holes which offers even more learning opportunity. And the way the balls make a little noise when they roll down the ramp is great. the hammer is soft enough to be safe even when used on a mother's knee. My granddaughter played with this for longer periods than with any other toy! I would rate this a 15 out of 10! Rating: 5 just right for 8 months old by Helen, GA The balls are just the right size to fit into her hands (8 mos). She loves it - pushes the balls through the holes; she hasn't tried using the hammer on them yet.